We know you’re all over the heady wonders who we are touching down to thrill you at the Main Stage. The unmissable Robyn, the impossibly great Groove Armada and the brilliant Bombay Bicycle Club. Obviously you will be there for our Atrium headliner, Letters Live, with their secret line-up of stars. Of course you won’t be missing the Wilderness Cricket Match, or Hip Hop Karaoke, or the now irreplaceable God’s Jukebox aka The Wilderness Classics. But have you really delved into the underbelly? 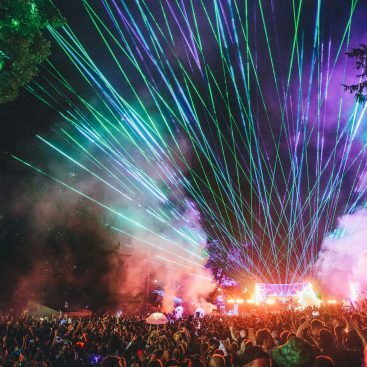 The Valley this year is quite simply epic, boasting the impeccable Chicago impresario Honey Dijon straight from the city of underground house music, dance music titan: the incomparable Erol Alkan and Bristol’s bass-happy party-starter – the genre-blending Eats Everything. Then there’s brand new venue The High Ground where Tottenham club The Cause teams up with progressive London promoters, Adonis & Tribes, across two nights of dancefloor antics featuring Hannah Holland, Grace, Shay, Voigtmann and Cromby to name a few. A jaunt to The Level, and you’ll find massive vibes, artistic excellence, innovation and new directions in music from around the globe. Headliners are Ata Kak from the cult label Awesome Tapes from Africa & Dele Sosimi Afrobeat Orchestra. Other highlights include the unstoppable Steam Down: the nu-jazz collective, weekly event and music community based in Deptford plus a special takeover from On The Corner – winner of the Worldwide Awards label of the year 2018 – and Otim Alpha & Kampire from Ugandan label Nyege Nyege Tapes. The Jumpyard from Shangri-La creators welcomes the rinsing Dutty Moonshine Big Band and the always amazing Jalapeno Records present Smoove & Turrell. And if you’re treating yourself to a Long Table Banquet, then do not miss the appearance of world-renowned Yossi ‘Papi’ Elad from The Palomar which in 2015 was named as The Observer Food Monthly Restaurant of The Year.